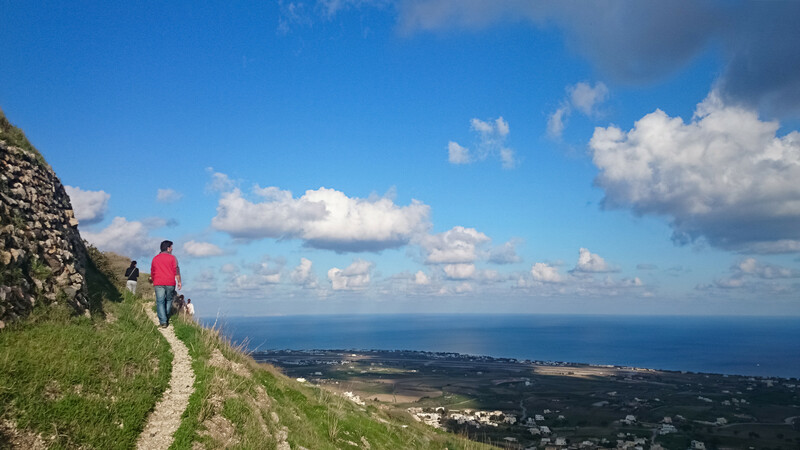 Guided tours crafted for travelers who love exploring, enjoy walking, and adore experiencing the local way. Visit the secret spots of Santorini away from the hustle and bustle, walking through ancient paths and picturesque cobblestone alleys. 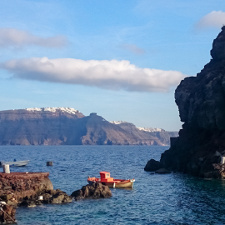 Marvel at the famous caldera, taste amazing volcanic wines, explore whitewashed villages and castles, and take in the amazing scenery in a responsible and eco friendly way. Join us, and get ready for an experience of outstanding and natural beauty! 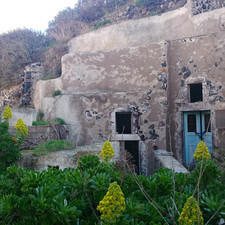 Santorini Walking Tours was born out of our passion to discover and share the lesser known places and beauties of our unique volcanic island. We offer guided, close-up and personal tours, combining mild physical activity with a fascinating, off-the-beaten-path tour experience. Blend in with locals, savor traditional delicacies, learn about ancient old traditions, and capture unique photographs. Visit farms, meet artists, craftsmen, and winemakers, come upon hidden coves, and swim in crystal clear seas. 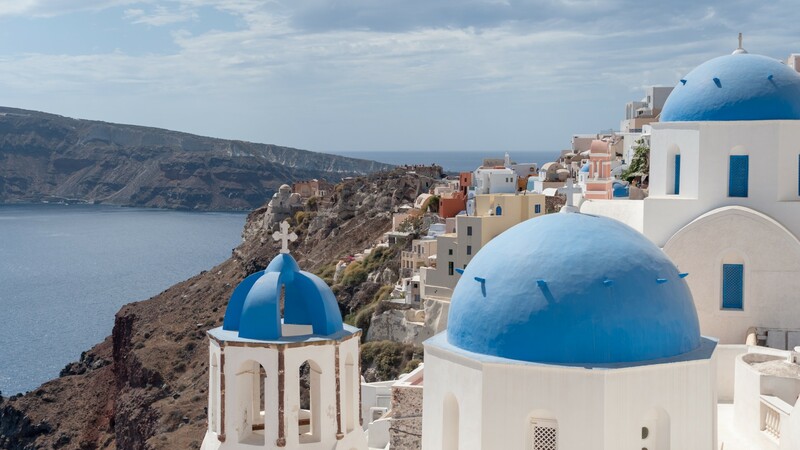 Select a guided tour, and relish a route designed to showcase the vistas, culture, myths and beaches of the jewel of the Aegean. 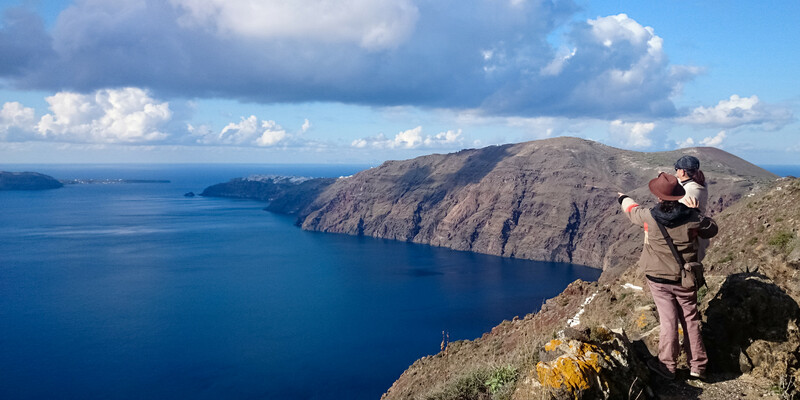 Discover Santorini’s numerous hidden charms on your own terms and power. Our tours present great sites and beautiful spots, which can only be accessed on foot. 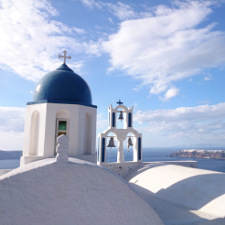 Explore, discover and sense the true aura of Santorini, living an experience only a local could plan for you. I have been to Santorini before, but there is still so much to see. Cannot wait for my next visit and tour with you. A wonderful insight to villages, sites and beaches, which would be very hard to find and enjoy on our own!